Understanding Islam – Part 35 (The True Furqan) – Wake Up! Wake Up! I have argued on many occasions that within Muslim Countries the ability to think independently may exist, but any open expression or move to change from the Islamic standards given the attendant requirements for punishment prevents any new thinking from finding the light of day within their societies. (Islam itself is an affront to the intellect and ability to reason of Muslims wishing to explore and understand non-Muslim thinking.) Collective thought in opposition to Islam or supporting another religion is made most difficult, if not impossible. The New Furqan may have been too much too soon and became controversial, easily attacked as a propaganda piece for Christian religious zealots intent on finding a way to proselytize in Arab/Muslim areas using a form of subterfuge. As good, as unique, as accurate, as informative as this book may be, how it was introduced created doubts that may have severely mitigated the positive impact it could have had, and may still have going forward. This book remains in circulation. 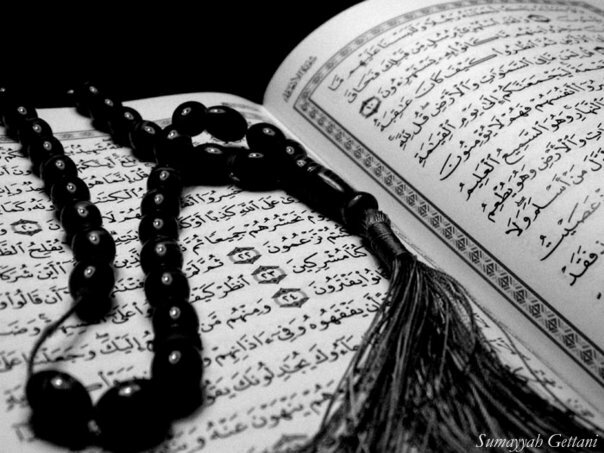 It is not the correct Koran, although the name implies that it is – the ‘true’ document of Islam. Might it have better served its purpose by telling potential readers it is what it is, a document depicting New Testament facts that Christians feel have been distorted by Muhammad and his Companions in preparing the Quran. It is a document that reveals in the language of Islam factual issues disputed by non-Muslims, and the reason they remain so (non-Muslims, non-believers in Islam), and the basis for non-Islam believers to continue to dispute the Quran. It is to be read and understood as the alternate view, as the case for the Bible, the corrective elements suggested by the Quran disputed. The True Furqan was not produced by the U.S or the Israel Governments, but by Christian evangelists. They wanted to convert, it is true, Muslims to Christianity. Their goal an honest one, telling the truth, the truth of Jesus, the crucifixion, the Messiah, and the Trinity for Arab speaking people to read and understand. It contains the gospel message. As a document that could convert Muslims it is obvious it would be a threat to a controlled Muslim/Islamic area. It is clear such a piece would be painted in a negative light. Although its subterfuge itself is resisted, its truth is what is actually actively suppressed. Nothing is to penetrate the Islamic areas of the world that could possibly alter the teachings of Muhammad, the madrassas, the Sunnah/Hadith, or even criticize such. I claim the teachings of Muhammad are dishonest in their own right, a form of suppression and control so that Muhammad could make conquest his objective and Allah his god, and that of the people, such that salvation offered becomes a reward, yet is a lie. It remains so for the strict adherents to the Quran, Muhammad’s all, acting in concert to convert the entire world to be for Allah. The ‘moderate’ Muslims are not to be believed. As moderates, even by the standards of the ideology of Islam, they are living a lie. Non-Muslims (who have read the Quran) know that Muslims are to deceive all but their own, so how must we Christians ever believe a moderate Muslim. If they suggest they are tolerant or love their neighbor, are they to be believed? The Quran suggests not. Sura 3:28 “Let not the believers (Muslims) take the disbelievers for friends rather than believers. And whoever does this has no connection with Allah – except that you guard yourselves against them, guarding carefully. And Allah cautions you against His retribution….” No friends, and if you must, be on guard, be deceitful as necessary. If they love Christians, then they are not Muslim. If they were raised in a family that suggest their neighbors, regardless of religion be loved, and their parents were Muslims, were they properly taught? Have they themselves ever read the Quran? If not in Arabic, have they read an English translation? An Islamic Imam would probably say no, that they are too secular. They are not true Muslims and they do not understand the Quran. If they are to truly love their neighbor who is a non-Muslim, and “it is no lie” then they would not be a Muslim. Being a ‘moderate’ Muslim is a dilemma, for the ‘moderate’ claimant especially. If all those Muslims the Western world calls ‘moderate’ Muslims were true to their ideology, their god, the one they call Allah, and they considered other faiths more in concert with their way of thinking, they would not be Muslims. They might be atheists, or simply people of another religion. They would not be Islamic. If they instead became more in tuned with the preaching of the Quran, they would not be moderate. How does the ‘moderate’ Muslim contingent, a large percentage of the world’s 1.2 billion Muslims change? Do they remain Muslim? Do they die for what they believe, as the current Ideology in its most basic form (some call fundamental) suggests that is the recourse that needs to be taken against those whose way of living is not the norm for Islam. To be ‘moderate’ is to be subject to punishment as outlined in the Quran. Are they willing to suffer? Or what? A New Quran, A New Furqan, a new Ideology (or no ideology at all), a new religious choice, something new is needed for the ‘moderates.’ Until they are not Muslim, they are deceivers in the eyes of non-Muslims, not to be trusted, as their god Allah, the best of all deceivers, tells them; as Muslims they are to regard Others as subjects of their deception so they may then position themselves to take control for Allah. My prayer for all Muslims, and particularly those who consider themselves ‘moderate’ , wherever you live, is that freedom and liberty be in the forefront of your thinking. What distinguishes you from your neighbors, if it be evil then we all pray please turn from it. If there is love in your heart then embrace it and find the path that enhances the hope for all mankind to live in harmony. Open yourselves up to the challenge of knowing your inner self and the direction you wish for your family, your children, and the future. Understand any bitterness and its roots. Are they founded in you? Or have they been instilled under threat of repercussions. Can you stand alone and fight for what you consider a moral authority that is known to you and felt by you, that dwells within you and suggests peace, tolerance and acceptance of neighbors, fellow humans, all wanting to peacefully co-exist. Follow your heart to a leader than never intends to kill another human, led by another than never killed another human being to achieve his end. Express a common objective to allow the gift of the human mind be free to explore, study, adopt that which is most compelling and comfortable, and able to embrace the cause most suitable, while at the same time being reconciled to the fact not everyone will think alike – nor should they. Except for the most good, the highest of moral and ethical standards, and their foundational elements, the human spirit needs to be free, be free from the authority of others to choose God, to obey and follow. Restraints that exist must be lifted, must be resisted, and must be tossed aside – paving the way for harmony among fellow-man. There is harmony, peace, love and hope expressed clearly in the Bible. Salvation is assured and from this book a relationship with a caring, protecting and loving Father is made possible. The True Furqan only attemted to provide access to the gospel and encourage all Muslims, especially those that claim to be ‘moderate’, tolerant of others, to read and find a pathway for their personal need to live in harmony with others.